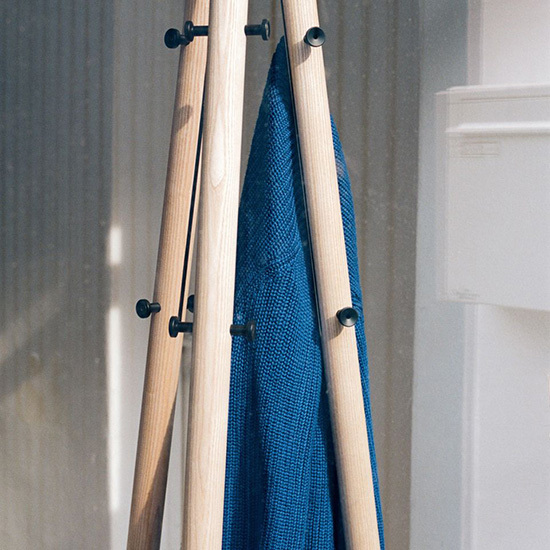 Composed of three wood legs and the signature Kiila wedge, the Kiila Coat Stand is simple and sturdy. 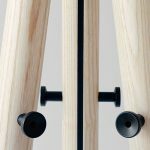 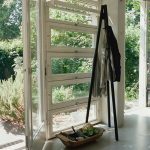 Inspired by the camera tripod on which designer Daniel Rybakken used to hang his coats, it has a low center of gravity and can accommodate serious weight without tipping over. Like all pieces in the line, its construction has been made transparent: the wedge-shaped metal joint has been left purposely visible, smooth powder-coated contrast to the solid ash legs. Robust yet elegant, the Coat Stand provides practical storage for jackets, bags, and other items, even in the smallest room.